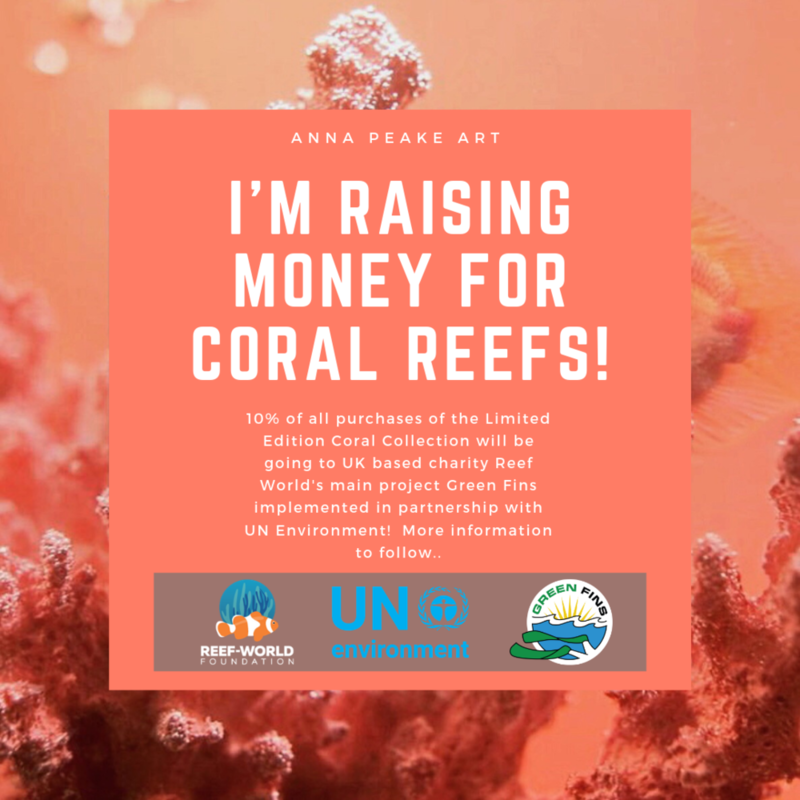 Anna Peake Art is turning CORAL to celebrate the start of Spring, My 23rd birthday month and also raise money for the much needed conservation of coral reefs. I will be posting on here, on my Instagram page and on Facebook so check them out! There’s lots of new limited edition work which I will be selling and 10% will be going to Coral Reef Conservation. This is very different for Anna Peake Art and I hope you are as excited as I am! "To inspire and empower people to act in conserving and sustainably developing coastal resources, particularly coral reefs and related ecosystems."